There was a time when businesses did not need to worry about their web site design. The reality today is that business owners need an internet marketing website design that attracts website visitors and leaves them with a positive impression. Your website is open to receive website traffic 24 hours per day, 365 days per year. Visitors include dozens of search engines and hundreds (or thousands) of Internet users. Determine the primary content focus (i.e. theme) of your website and ensure you are meeting the needs of your visitors with quality content. There are two basic kinds of users on the web: those interested in researching a topic and shoppers who have finished their research and are ready to act. Your site should satisfy BOTH types of web users. Your web pages and meta content needs to be optimized (i.e. search engine optimization) for keywords that reinforce the theme of your website so that you have the best chance of receiving organic (search) traffic from search engines. Seek professional help: Find a professional who will perform a review of your website and issue a recommendation / report outlining any changes required that ensure your webpages follow best practices for “content” SEO. Some of my personal criteria that you should follow to obtain a good “Website Quality” score. What does the colour wheel have to do with your website? Each color corresponds to a specific use, it is your job to make sure that the colors you choose match your business objectives. Be careful when you try to combine the colors in the spectrum. I recommend a combination of colors at the same level of the color wheel. Warm colors – Warm colors are made with pink, red, orange, yellow, gold, brown or a combination of both. In general, warm colors are more exciting and aggressive. They may involve the emotions of optimism to violence, and therefore recomened in small scale. Designers can “soften” the warm colors using the lighter side of the range of warm colors such as pink and pale yellow. Cool Colors – The colors of spring are cold blue, green, purple, gray, silver and white and is more associated and summer. The warm colors indicate violent, cool colors are said to have a calming effect. Blue, green and violet create the ifeel of comfort and care, making them perfect choices for advertisers. Intermediate Colours – The coolness or warmth of some colors may vary depending on color. For example, purple and green are considered as intermediate colors, because according to the amount of yellow or red they contain (relative to blue), may be they perceived differently. Less blue color corresponds to a warmer, blue indicates a cooler color. Gaudy is especially important in professional and commercial sites. colored text is hard to read, has died. And the text of the multi functional fantasy background is definitely out. The page is clean, clear and easy to read without eye injury. Black? Never. Have you ever tried to print the page where the text is white on black background and get a sheet of printer? Definitely not a commercial site benefit! White, off white, light, or exceptionally lightweight design is fine, as long as it will never decrease the text and the images have an impact. Banner advertising should be kept to a minimum. Human visitors are definitely not impressed with web pages full of “commercial” messages. Search engines downgrae websites with too much advertising and classify them as “web spam”. Who are you, what you do, what makes you unique, why use your products or services, and how it can help solve a pain or a need to be there. But it will not be effective on the web, if you just want your money. Providing this information, but a trickle of content a. to include as subliminal links and notes. Content is king, and the sale without the sale is the way to be commercial. Clarity is important in its content and purpose. We get 95% of our traffic from Netscape and IE. The rest includes spiders and text-only browsers. Make sure your page works well with all browsers before posting. We will look at your page with at least 3 different browsers in this study. If you do not have real content that contributes to pain or the needs of visitors, so their visits are not worth their time. Offer something they can not get elsewhere. If you need, give your opinion, but make sure you’re right. Avoid doorway pages (also known as splash screens). After wait while loading a logo that we may be impressed enough to click through your content is good, and is a waste of our time. flashing and turning used to be cool, but not anymore. Make sure your gadgets are designed, slow, and if it does not add to your message, please do not use them. They went from funny to annoying. And they distract from your content. It’s true that “content is king”, but your webpages should include “curb appeal.” Attractive and stylish graphics related to the content can give your website a “wow” factor. Plus, these graphics (illustrations, photo’s, images) engage your readers and give you an extra opportunity to boost your search engine optimization. Caution: Do not use graphics that are large file sizes or high resolution. 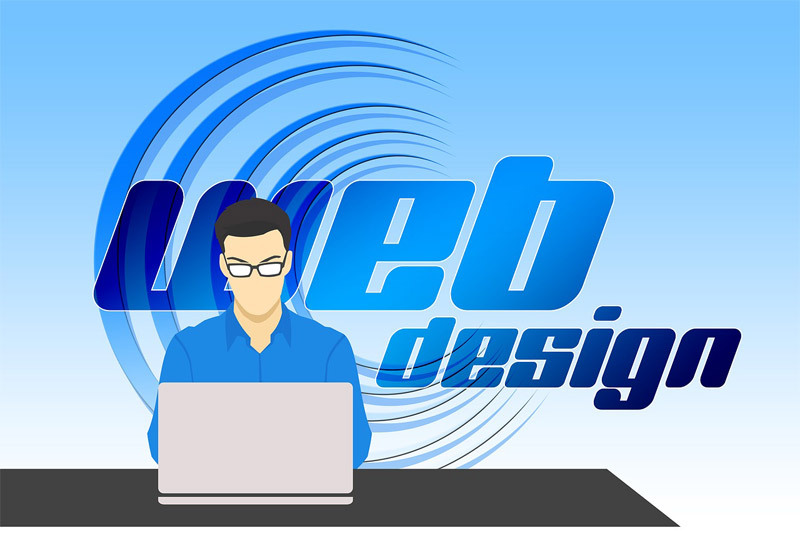 These graphics can slow down the web page loading and cause your visitors to abandon your site. It’s important that your HTML (the code that generates the content on your computer screen) is clean. That is, it should not throw any errors to the web browser (Chrome, Firefox, Internet Explorer, Safari, Android, iOS etc.) These errors will also be encountered by the search engines when they crawl your site for indexing purposes. Make sure you check your website looks the same and functions in every browser. The site must communicate your brand, as you have defined it. It must be tailored to your industry, customers and appeal to your prospects. Internal links, external links, backlinks, one-way links, deep links, anchor text are all examples of effective linking. The overall design of the site is the same for everyone. Visitors should feel comfortable that the layout is the same, but the transition from page-a page, and navigation is always the same on the page. Changing the style of the site is not recommended. If you want your visitors to perform a key action, make sure this is clearly stated on the web page. Do not assume your marketing message(s) will be clear unless you make them explicit. Typically, a web page is designed to fit an average screen width. Over the years, the optimal resolution has increased as advances in hardware and software have made large screens with high resolution. Some think it’s important. We are not. If the text is displayed instantly, even if the images are being uploaded, and if we can make a decision that we want to read the content of this page without images, so the page can be very long. But if there are links on the page and you have no tables, yields are boring. We have great pages without tables, and the return from a link where you left, not top of the page. Slow web pages are definitely a showstopper. Website visitors, prospects and customers have a very low tolerance for web pages that take too long to load. You do not want to discourage visitors from coming back to your website because of a poorly performing site. Search engines also penalize web pages that are slow to load (i.e. give them a low ranking). If you find your webpages are slow, enlist the help of a professional to diagnose and remedy the problem. Use margins and spacing to avoid an impression of clutter. Endless text looks like heavy reading, so visitors may become discouraged. Empty web pages and under construction messages are not user friendly. Lack of content will also result in low quality scores from search engines indexing and ranking your website. Each web page should have a clear focus in terms of content PLUS the URL (page name) should reflect the primary keyword of your web page. For example, the keyword for this webpage is “internet marketing web site design” and the webpage name is correspondingly “internet-marketing-web-site-design.html”.